Just what the old girl needed. Bought for my Triumph Trophy, had a Yuasa that lasted just 15 months the other company didn't want to know, so went to Tayna and have been very impressed. This battery did not last more than two weeks will not recommend It. Didn't have enough acid to fill the final cell to the upper level. Suggest filling each cell only to the lower mark then split remaining acid evenly across the cells. The instructions should be improved to cover this! Once again great service . What was required and quick delivery. Excellent value for money and superfast delivery and follow-up service. Brilliant product and service that's second to none! The battery fitted perfectly,but 8 months in it had ded cell and discharged rapidly Stephen was very understanding and sent replacement straight away. 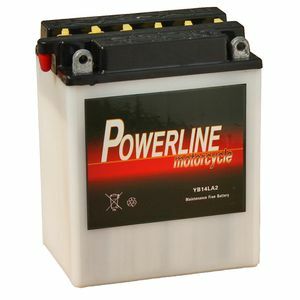 Great after sale service and great value recommend tayna batteries. For the price (£26.00) delivered to my door, it is guaranteed for 1 year. Now let's stay real about it, if it does all of that, what more can I say. It works for me. 10 out of 10. Fantastic service will get all my bike batteries from here.